The Dam Busters is a British movie telling a true story about the innovative bombs and bombing techniques created by engineer Barnes Wallis. The movie details the struggles facing the engineer and the squadron of Lancaster Bombers chosen to complete his daring bombing raid. Detailing this true story, the movie not only looks at the development of the technology of the famous bouncing bomb, but details the human struggle facing Barnes Wallis and the pilots of the 617 Squadron of the RAF. 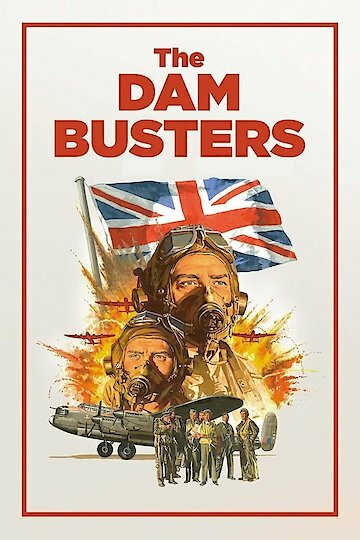 At the outset of The Dam Busters, Wallis is struggling with the problem of how to develop a bomb that can bounce on water and damage the German dam's driving its weapons development industry. Wallis must not only face the problem of developing his new bomb, but also juggle his military work with his day job with the Vickers company. The engineer works closely with a group of pilots, who must be retrained to fly at low altitudes to make the bouncing bomb work to full effect. The development of the bouncing bomb goes down to the wire, with the final mission to destroy the dams filled with danger for the crew of each bomber.